Calaméo - Body Building Supplements - Are They Best For Your Needs? 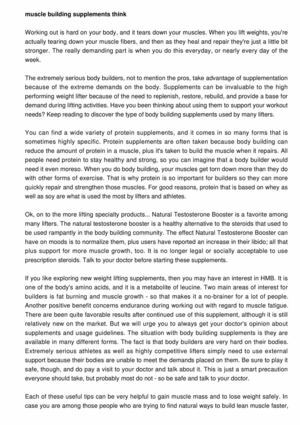 Body Building Supplements - Are They Best For Your Needs? In this article are several useful tips and hints that can be helpful for you to develop muscle safely.